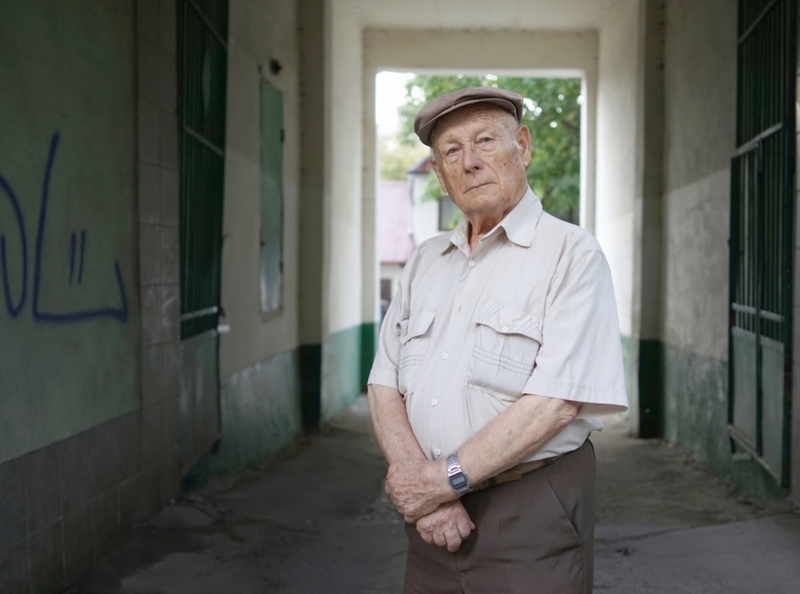 Click Here to RSVP for the 2019 Fleischman Lecture "The Holocaust Before Hitler: The Programs of 1919 in Poland and Ukraine." If you would like to learn more about our History Colloquium Program, please click here. The Columbian College of Arts and Sciences offers an interdisciplinary program in Judaic Studies leading to the degree of Bachelor of Arts. The program, whose purview extends from the ancient Near East to modern-day America, showcases and interprets the artistic expression, history, languages, literatures, philosophy, politics, and religion of the Jews over time and place. The advantages of electing to major or minor in Judaic Studies are many. Our interdisciplinary nature allows students to take courses with award-winning faculty from various departments, while our traditionally small size facilitates close interaction between students and professors and fosters a sense of community and belonging. In the past, Judaic Studies’ graduates have gone on to careers as doctors, lawyers, journalists of both traditional and emergent media as well as professors and business professionals. Outside the classroom, the Judaic Studies program regularly sponsors trips to the theatre and museums in addition to hosting lectures and performances by celebrated personalities in a wide range of fields. GW is also the home of the I. Edward Kiev Collection, a wide-ranging and diverse collection of Hebraica and Judaica that spans more than five centuries and includes rare books, periodicals, Jewish graphic art, manuscripts, and archival documents. The Program in Judaic Studies also offers two new Masters of Arts degrees, one in Jewish Cultural Arts and the other, a cooperative venture with the Graduate School of Education and Human Development, in Experiential Education and Jewish Cultural Arts. Both programs are designed to train the next generation of Jewish culture and arts professionals. The images on this website are drawn from GW's I. Edward Kiev Judaica Collection. Israel's Fateful Election: End of the Netanyahu Era - Or Triumph of the Indicted Incumbent? Interested in previous events hosted this year? See below! Are American Jews Abandoning Israel? 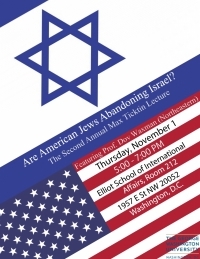 On Thursday, November 1, we will have the honor of hosting Prof. Dov Waxman, Stotsky Professor of Jewish Historical and Cultural Studies atNortheastern University, an author of Trouble in the Tribe: The American Jewish Conflict over Israel (Princeton: Princeton University Press, 2016), who will deliver the 2nd Max Ticktin Lecture. His talk is entitled: "Are American Jews Abandoning Israel?" Daniel Schwartz, the director of the Program in Judaic Studies, teaches and writes about modern Jewish intellectual and cultural history. His latest book, The First Modern Jew: Spinoza and the History of an Image, appeared in 2012. It was a co-winner of the American Academy for Jewish Research’s Salo W. Baron Prize for the best first book in Judaic studies and a finalist for the National Jewish Book Award in History. 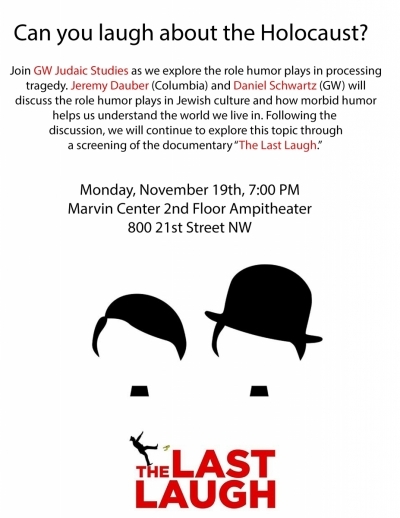 Want to stay up to date with all the GW Judaic Studies Events? Then consider joining our mailing list. We'll only email you about upcoming events that we host.